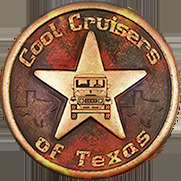 Original rear replacement bed exclusively by "Cool Cruisers". Original body lines and ribs are paramount in adding value to your FJ40. Don't spend thousands on restoring your FJ40 with non-original body parts. FJ40s have reached classic status. Original FJ40s sell for top dollar. Get the most out of your restoration dollars. 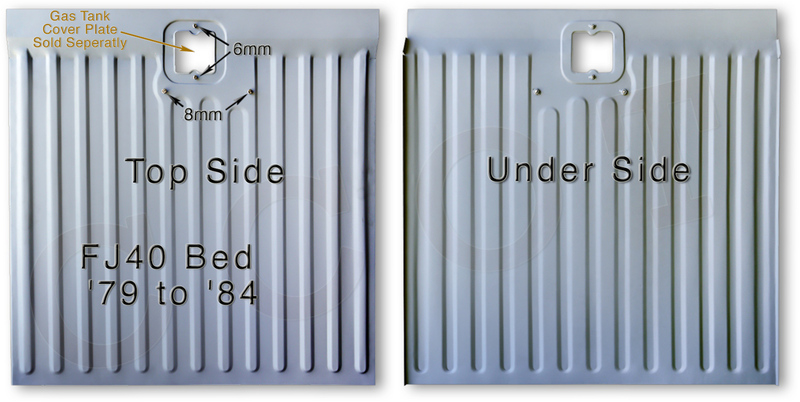 Install CCOT quality body panels to add value to your FJ40. 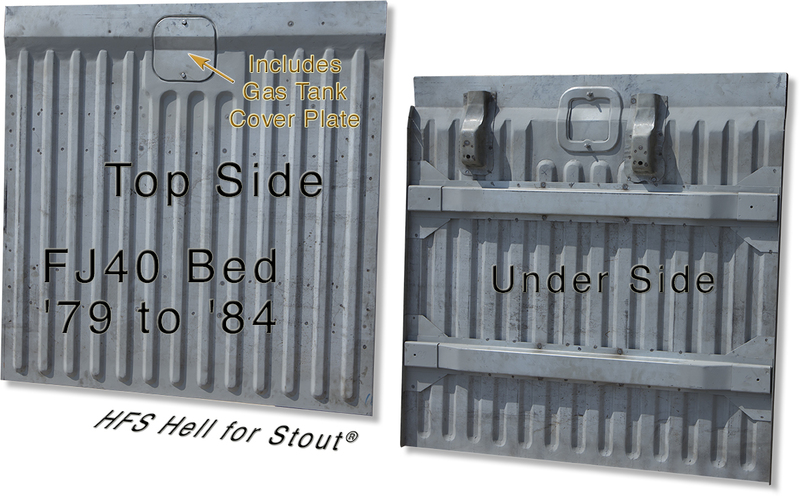 HFS Hell for Stout� Bed is built with high quality 18 gauge, zinc coated sheet metal. Zinc coated sheet metal is a highly rust resistant and corrosion resistant metal that has a high mix of zinc and is also finished with a zinc top coating. Because of the zinc coating, the metal does not need to be primed and one could paint directly to the metal if they choose. Only the flash welds would need to be treated and etch primed. The zinc coating also highly stiffens the 18 gauge steel. Click for Bed Support Beams page.